If you're looking for an updated model, something different to add to the gun cabinet or the first of your concealed carry guns of many to come, here are a few models to think about. These firearms are new for this year, or are the latest model of a proven firearm to come out from a manufacturer. Each of these guns offers something unique, and each can offer the prospective buyer something that other pistols cannot. If shopping for a new pistol, any one of these guns would be a worthy addition to one's personal arsenal. Sig Sauer's P320 isn't a gun - it's a platform, and the Sig P320 Subcompact is the variant tailor-made for easy concealment. The P320 is a modular pistol platform, as all parts are interchangeable between each variant of the P320 with the others. A full-size gun can have a compact slide assembly mounted on it for easier concealment...and vice versa. 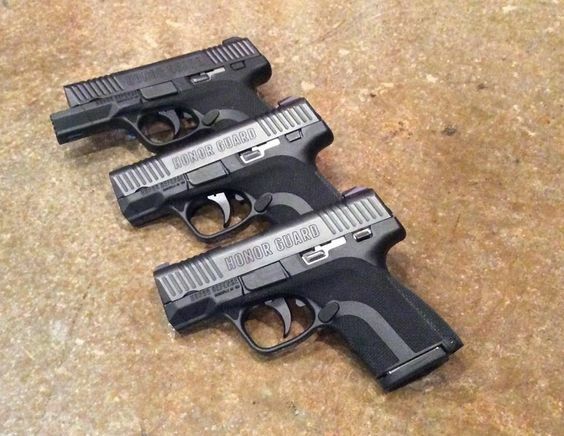 The P320 Subcompact is the smallest version of the gun. 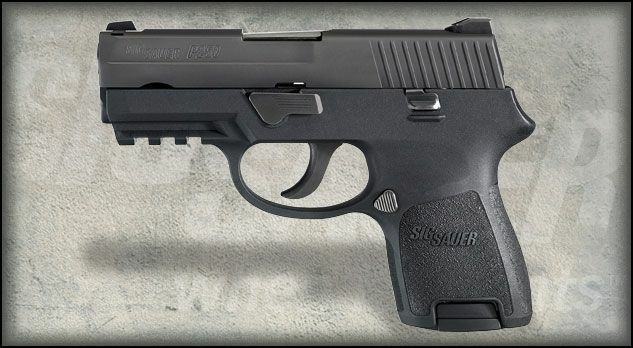 The Sig P320 is an evolution of the Sig P250, the polymer-framed double-action only range of pistols by Sig Sauer, with modular components, a true striker-fire operation and other improvements to make an already wildly popular design even better. Trigger pull is light at 5.5 lbs. Available chamberings include 9mm, .40 S&W and .357 Sig. 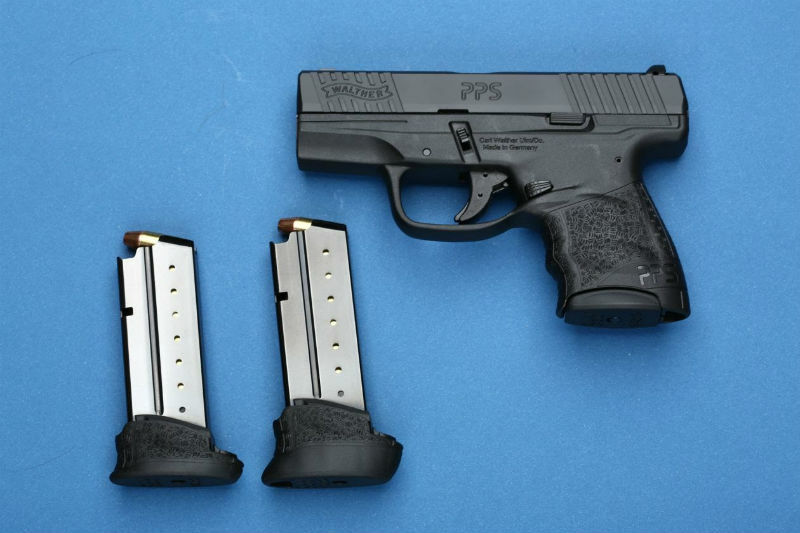 A .45 ACP version is in the offing for the compact models as well. The subcompact has a capacity of 12 rounds for 9mm or 10 rounds of .40 or .357 Sig. Acquisition may come slightly dearer than the P250, but not by much - street prices around $600 aren't uncommon - so it's priced to fit most budgets. If you're looking for a no-nonsense carry gun, they don't get much better. The Beretta PX4 isn't as big as the 92, Beretta's all-time class Wonder 9, but unlike the 92 is a flexible platform that's led to several concealed carry variants, latest among them being the PX4 Compact Carry. There are already two compact variants, namely the Compact and the Subcompact. 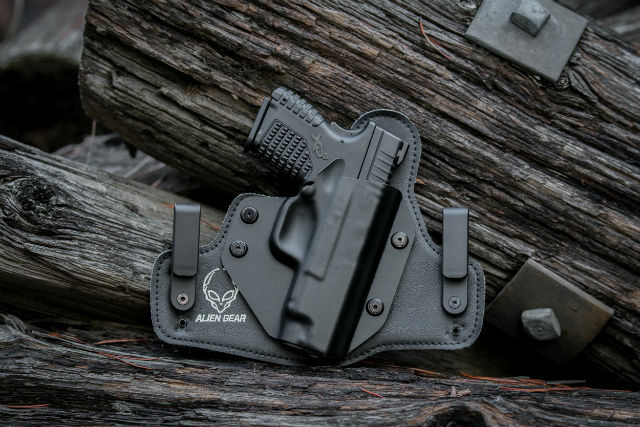 The Compact Carry is an enhanced version of the Compact. Improvements include a slimmer frame and slide, grips by Talon, enlarged magazine release button, Ameriglo front sights and Cerakote finish. Additionally, the slide-mounted controls (ambi safety/decocker) have been thinned and countersunk, sitting nearly flush with the frame. An accessory rail remains standard. 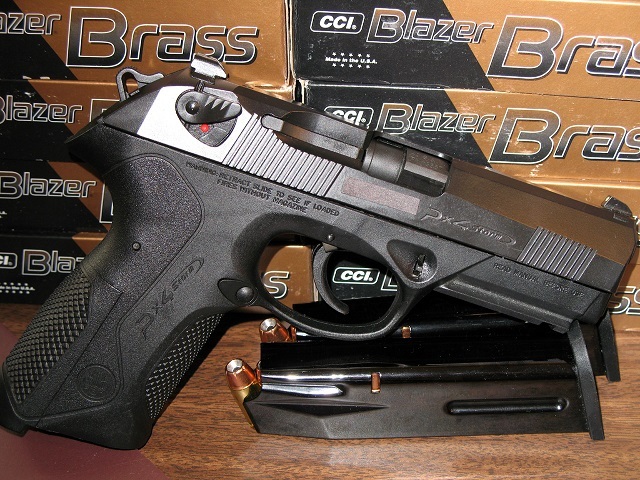 Since the PX4 Compact Carry is an optimized version of the Compact, it will cost a premium over the price of the Compact - which is often found for around $600. However, if one wants a compact DA/SA gun from one of the most proven manufacturers...the PX4 platform is one of the best available. Kimber is normally known for their excellent 1911 pistols, which is what made the Kimber K6s such a sensation when announced at the 2016 SHOT Show. The K6S is a DAO revolver, carrying 6 rounds of .357 Magnum. However, it's a compact magnum, and designed for concealed carry. There's no hammer to snag, since the K6s uses the enclosed-hammer snubnose design that many CCW revolver fans are used to, and in the same compact size. It comes with low-profile sights and stainless steel construction for reduced weight and corrosion-proof finish. 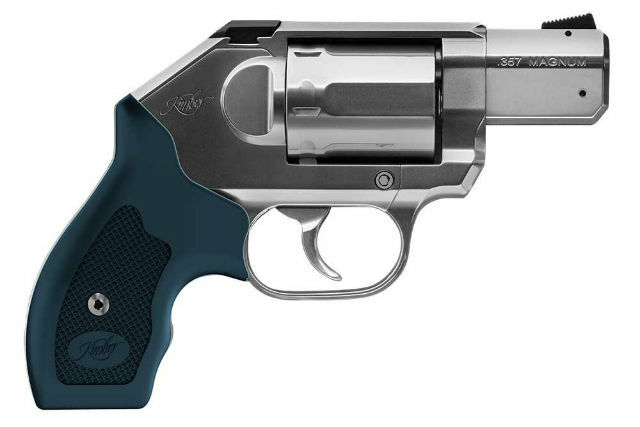 The L6s is a compact .357 Magnum geared for easy carrying and concealment. It may well be the best concealable magnum on the market. Honor Defense set out to make no-nonsense concealed carry pistols in the United States at a reasonable price point, and the Honor Guard Subcompact may well prove to be one of the best available. They are a very recent entrant into the firearms market as well, as the Honor Guard Subcompact is new for 2016. The Honor Guard Subcompact is a slimmed, striker-fired, single-stack 9mm, with a carrying capacity of 7 or 8 rounds with extended magazine, exchangeable backstraps, ambidextrous controls, low profile sights and Crimson Trace grips available from the factory. It's rated for +P ammunition out of the box, so it's compatible with almost any ammunition one might want to feed it. Street prices are $500 or less, meaning you can get an American-made, CCW-optimized pistol for less than many of the more staid gun brands. Kimber's Micro pistols in .380 are well-known, but for 2016 they unleashed the Kimber Micro 9, which is chambered for 9mm as not everyone is a fan of the .380 caliber. It isn't Kimber's first foray into subcompact 9mm pistols - the Kimber Solo is also available - but the Micro 9 takes the 1911-derived design and single-action only format that so many are familiar with. The Micro 9 can be had in a variety of finishes. 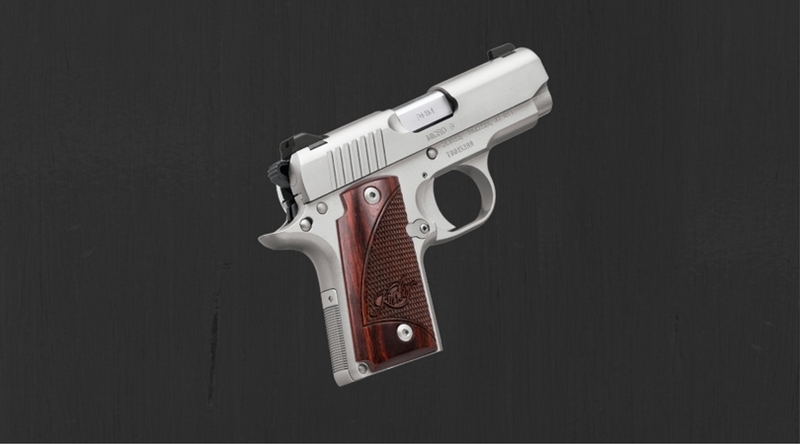 There is also the Kimber Micro 9 Crimson Carry, which adds Crimson Trace grips. Capacity is standard at 6 rounds, though an extended magazine can be had as well that carries 7. It's among the slimmest micro 9mm pistols and retail prices start below $700. If the deepest of deep concealment is what you're after, it would be hard to think of a better gun than the Kimber Micro 9. Big Green hasn't been a major player in handguns for some time, but has been getting into the handgun market with the R1 1911 range and, new for this year, the Remington RM380. The RM380 is a micro .380 with a list of major refinements. Capacity is 6 rounds, and they don't offer extended capacity magazines - though a pinky extension is available. Crimson Trace grips can be had as well. Magazine release buttons are ambidextrous and the sights are low-profile, keeping the draw free of snags....and that's about it. Trigger pull is stiff, around 9 pounds, but not unmanageable and most reviews praise the out-of-the-box accuracy for a micro pistol. It's a no-frills, easily concealed and very shootable pocket gun and given Remington's wide distribution, can be had for very reasonable prices - expect to pay less than $400 in-store. If looking for a backup or deep concealment gun, Big Green may have delivered the gun to get. The Springfield XDS 3.3 isn't new; it's been around for several years and it's a very popular concealed carry pistol. The XDS series is Springfield Armory's single-stack line of their XD polymer striker pistols and as a result have garnered quite a following. However, it hasn't been offered in .40 S&W...until this year. Heretofore, the XDS 3.3 has only been available in 9mm and .45 ACP but the brass (pardon the pun) at Springfield finally released a version in .40, for those looking for something bigger than 9 but smaller than .45. Capacity is 6 rounds with the flush-fit magazine, or 7 with an extended grip magazine. If you want a single-stack .40 that's perfect for concealment, the XD-S 3.3 should definitely be on your shortlist. The base model goes for less than $500 in most stores. The Walther PPS M2 designation stands for "Police Pistol Slim, Model 2" and it lives up to the title. The PPS is designed for backup or concealment duty and is certainly designed to excel in the role. It has the standard Walther ergonomic refinements, including exchangeable backstraps and three standard lengths of magazine - choose whichever you prefer between flush, medium and extended. 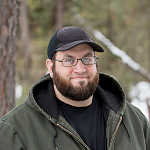 Chamberings are 9mm or .40 S&W, and capacity is either 6/7/8 of 9mm or 5/6/7 of .40. Trigger pull is a manageable 5.5 lbs and the gun has been winning plaudits for shootability and accuracy. It's a no-nonsense working gun, as it uses a striker-fired, polymer frame design with slim proportions for easy draw and concealment. For a no-frills single-stack CCW, it's a slam-dunk with in-store prices of $500 or less being quite common. 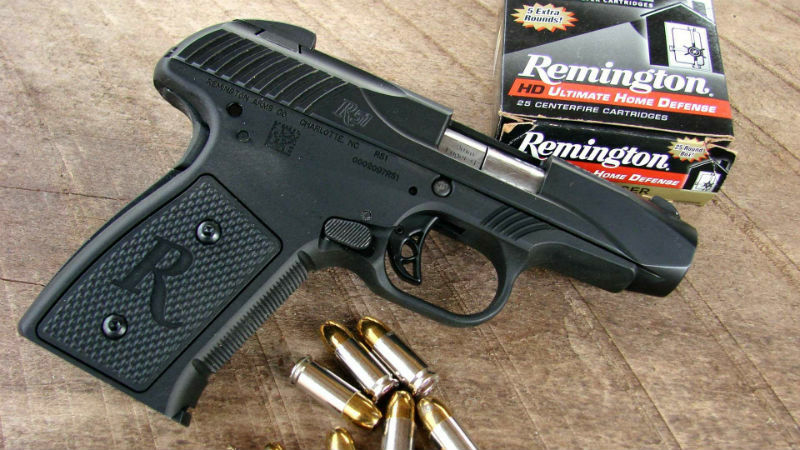 The Remington R51 isn't new, but it is back on the market after being pulled in 2014 for a redesign. Whatever else one might think, Remington takes safety seriously and instead of rushing a pistol back to market or trying to sweep any malfunctions under the rug, they took the pistol off the market and didn't release it until they got any imperfections worked out. The R51 is a single-stack 9mm, with an impossibly low bore axis thanks to the John Pederson design from the Remington Model 51 from the 1950s. It carries 7 rounds and is rated from the factory for +P, so it's designed to carry concealed. It's one of the few blowback-operated pistols on the market (most use recoil instead of blowback from exhaust gases) and the light trigger pull (less than 6 lbs) ensures easy shooting. Controls are few; ambidextrous magazine release buttons and a grip safety. Big Green's single-stack 9 goes for under $500 in-stores, but a laser-equipped model can be had for $200 more. They are committed to keeping this gun on the market, and hopefully it will gain traction as it's a fantastic piece of design and, on paper, is a perfect carry piece. The Baby Eagle or Jericho pistol has been around for some time, and the latest iteration - or more accurately, the Magnum Research version - is the Baby Eagle III. If you get the IWI version, it's the Jericho PSL. IWI and Magnum Research are kind of like GMC and Chevrolet; the badge is different but it's the same truck. 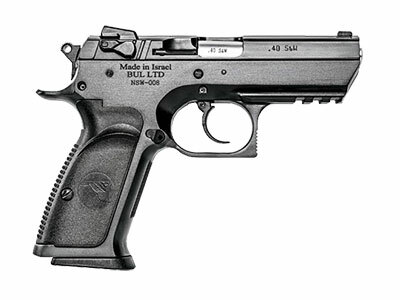 The Baby Eagle III is much the same, starting with a design derived from the CZ 75 in a smaller configuration than the standard pistol, the service arm of choice for Israel and a number of other militaries and police forces. However, the latest version employs a polymer frame instead of steel, making it easier to carry, and a standard accessory rail. Standard capacity is 10 or 15 rounds, depending on what state you live in, with a frame-mounted safety/decocker, which decocks and engages the safety a la Beretta. If you're looking for a unique CCW with pedigree and proven design - the Baby Eagle III is definitely all of those things. The Springfield XDS 9 mil was a pleasure to shoot, I'm anticipating the privilege of trying out both the .45 and .40 calibers.